Donald Trump isn’t only keeping G7 leaders guessing over whether he will pull the US out of the Paris Agreement on climate change. In the 128 days since he took power, no one from his administration has said a single word to US climate negotiators. Trump tweeted on Saturday that he would decide next week on whether or not to ditch the deal, which aims to cap global warming through carbon emissions cuts. He has claimed in the past that climate change was a Chinese hoax and has slashed funding for the US Environmental Protection Agency. At last week’s G7 meeting, Trump came under pressure to keep the US climate commitment. 195 countries – including North Korea – signed the deal, which entered into force when the US, China and the EU ratified it. German Chancellor Angela Merkel told reporters, “The entire discussion about climate was very difficult, if not to say very dissatisfying.” She added that “there are no indications whether the United States will stay in the Paris Agreement or not”. It is expected that other countries and the EU could soon move to isolate the US over its stance on climate and to shore up the deal. But Trump is already being isolated and undermined by his own climate negotiators, who have, in the absence of any leadership, taken matters into their own hands. The European Commission had some tough words for Poland’s foreign minister, who claimed that Warsaw is not at loggerheads with the EU but with Commissioner Frans Timmermans instead. Member states formally adopted rules to prevent tax avoidance through non-EU countries but only managed to agree on watered-down car emission controls. Bulgaria’s prime minister compared lower quality food in Eastern Europe with apartheid and corruption charges have rocked Moldova’s pro-EU coalition. A new study claims an EU-India free trade deal could increase GDP by €21 billion a year. The man who oversaw Greece’s EU accession and led the country for three years, Constantine Mitsotakis, has died. The Commission published its Brexit negotiation position papers, which elaborated on the mandate agreed by the Council last week. One British journalist asked Theresa May why she is such a “glum bucket”. Click here to see her unamused reaction. Emmanuel Macron, who met Vladimir Putin today, revealed that his Herculean handshake with Donald Trump was premeditated. Here’s a profile of the man the US president barged out of the way at the NATO summit. Martin Schulz got in on the Trump-bashing, first denouncing the way he treated Angela Merkel at the summit and then tweeting “the best answer to Donald Trump is a stronger Europe“. Former PM Matteo Renzi suggested Italy could go to the polls early, at the same time as Germany’s September election. Here’s a bizarre video of Silvio Berlusconi introducing the world to his numerous dogs (and sheep). Sam Morgan contributed to this Brief. EU Green Week begins today, with an opening event in Malta. A Green Jobs Summit will be held tomorrow and Wednesday in Brussels. 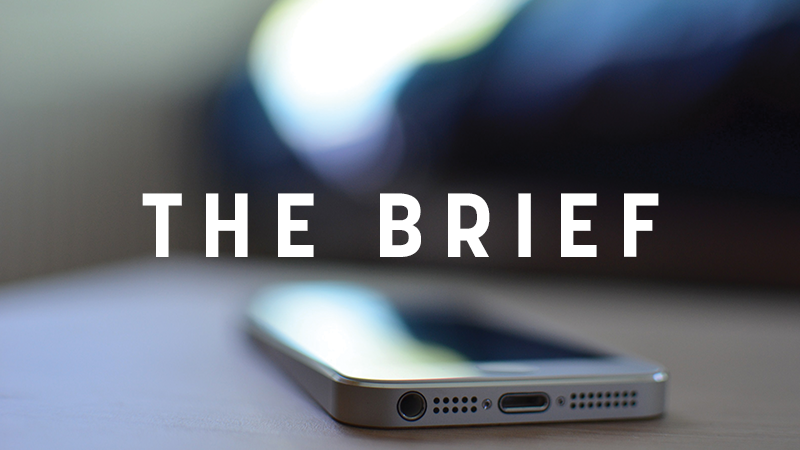 Subscribe to The Brief here. It would seem that Trump has already decided – he will pull out of the paris agreement – presumably because…….bad hair day, melania won’t talk to him, who knows.